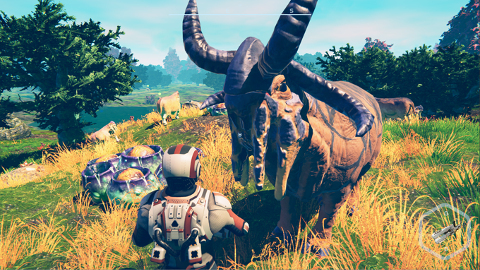 Planet Nomads, the sci-fi survival game of planetary proportions, launches on 18th April as Early Access on Steam and Game in Development on GOG. If you are intrigued feel free to put Planet Nomads on your Wishlist on one of these platforms to be reminded when the time comes. Oh come on. Don't tell us you have never dreamed what it must be like to end up like Robinson on a deserted island. Only it's a planet in this case. 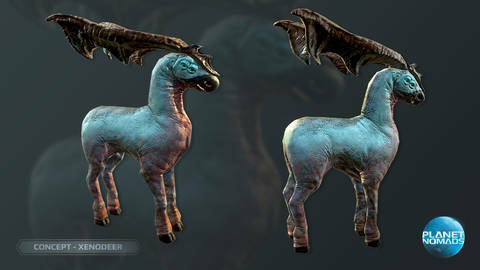 With life forms you've never seen before and ones you'd better take your time to study well. Because you're a crash-landed astronaut scientist, not Arnie hunting predators. OK. So What Do I Do in Planet Nomads? You're living the lone nomadic life. Left to rely on your skilled hands and nimble mind. You have your faithful JXB-600 multi-tool and most of the technological achievements of the human race. You carry very little millitary equipment, but you have blueprints to over 60 building blocks and when you place them next to each other one by one, magic happens! You also have recipes for tasty food and life-saving chemicals. So you build your scouting buggy to expand your reach. You build walls against nosy beasts. You build hovercrafts and mobile fortresses. You build a massive football player scoring a goal. In Planet Nomads you do whatever it is that flies your flag. 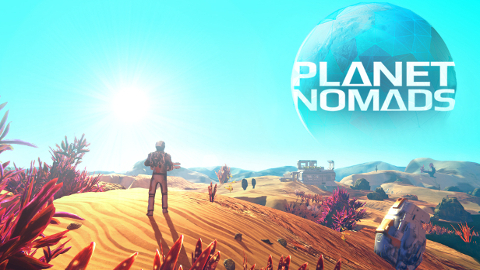 Planet Nomads is the only sandbox game with real planets. The 200 kilometer journey from pole to pole is a real adventure that changes as you traverse the different climate zones. We have been fine-tuning Planet Nomads since August 2016 together with our precious Alpha Nomads. 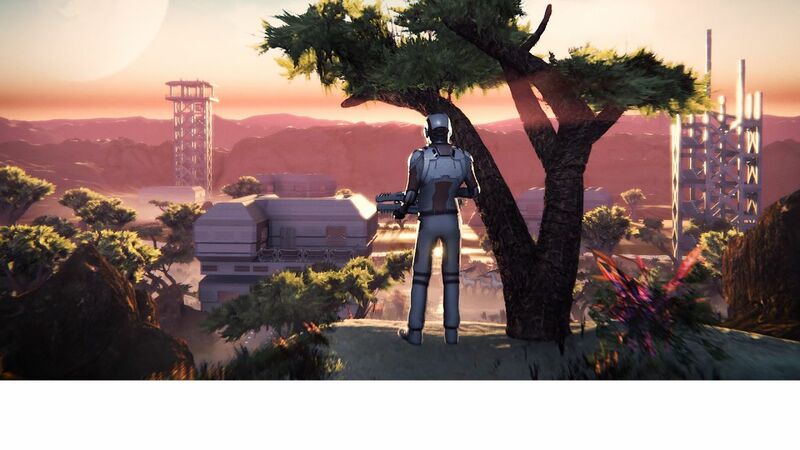 They will get an update on 23rd March and with their help we will deliver the first publically available version of Planet Nomads to everyone. Ah, you made it to the end! Thank you so much for your interest in the game and follow us on Twitter to see the situation develop.